March 11 | Looking up. March 12 | Stacking oatmeal raisin cookies. March 13 | On the way out of town! March 14 | Corona Arch. March 15 | After finally experiencing the "runner's high" and 2 hours and 6 minutes on pavement, we finished the Canyonlands Half Marathon!!! Then, we went on a very mellow hike with friends. 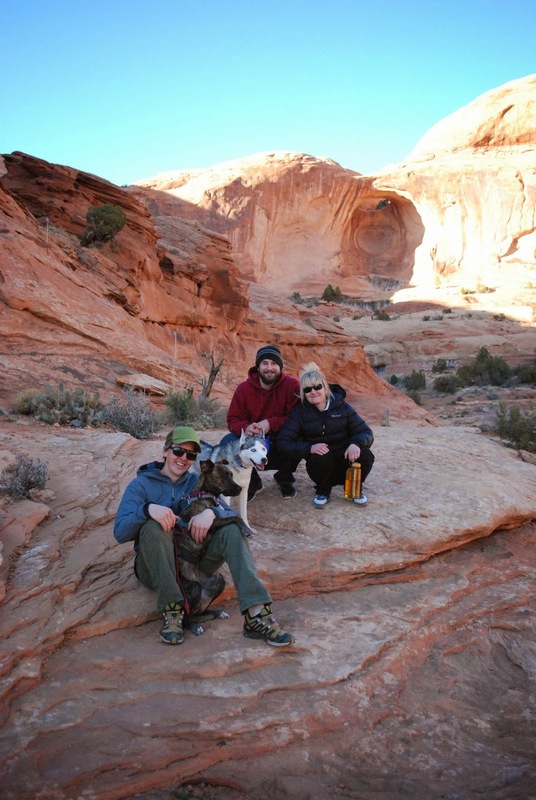 March 16 | Dingo really wants us to buy Austin's grandparent's house in Moab.